Drives and breaks fast, safe, like any luxury type of cars-it can get pricey. Audi a4 is a great looking car. That can get up to speed, faster than most cars and can stop very quickly. Brakes, being very good on this make/model. Makes it extra safe. Has nice features, on the inside that would make some believe it is a newer model year wise. Has leather seats, that warm up and are great in the winter. Gas mileage is not the best, almost $50 to fill up. & it being a foreign car, if something goes wrong. It potentially can cost more, to get parts, many times needing to get them shipped. & fixing any issue with these cars, seem to be harder for most of the persons working on cars, as the way the car is made-things are not quite the same as many American cars. It is a turbo and I love that it is white and tan on the inside just as I wanted. The oil and gas is the only thing that gets me the oil light likes to come on like every two weeks and the gas it just uses so much like 10 $ to go back and forth to Cleveland to Chattanooga if it was for me with the oil I wouldn't buy no cheap oil because it will mess up the car and the gas is $3 a gallon so be careful where you go. Oldie Audi: cosmetic and sensor issues. Sensors malfunction so the oil, coolant lights come on even if the car is not out of oil or coolant. Parts are expensive. Leather on drivers' seat is worn. Great speed pick up. Good trunk size. Keyless entry key is expensive. Leather door covering in the back seat area peeled off. 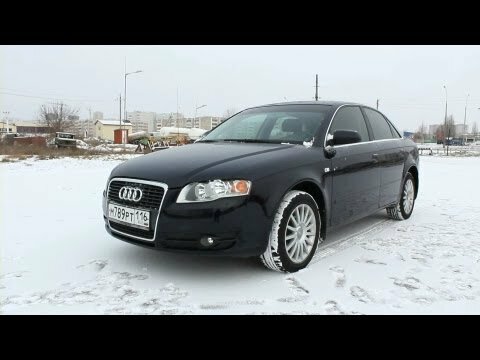 2005 Audi A4. Start Up, Engine, and In Depth Tour.